Common sense should have kept me from trying to adapt a recipe for pineapple pie. You’d think I’d know by now that if it is crucial to the outcome of a recipe that the ingredients thicken properly the best thing I can do is stick to the original version. But then, you’d also think that I’d know by now that nothing good happens when I put too much hot liquid in the food processor or the blender. What I do know is that if your food processor shoots hot pineapple-mango custard all over the kitchen, the two most important things to do are to a) get out of the way, and b) thoroughly clean up the mess, no matter how upset you are. Should the custard harden on the base of the food processor, or say, on the side of your refrigerator you’ll not only be disgusted every time you see it, (and you will never be able to get it off) you’ll also be haunted by failure. 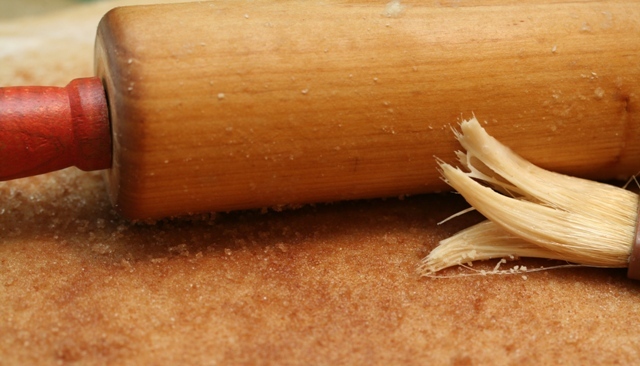 It is also crucial to find something else to bake – something from a reputable source. And for that, I turned to The Sweet Melissa Baking Book. The book, by Melissa Murphy, owner of the famous Brooklyn bakery was published in 2008. I stumbled across the Sweet Melissa Sundays online baking group a few weeks ago, and after a few minutes perusing their blogs, decided I had to get a copy. (It was this post for Hazelnut Raspberry Layer Cake that hooked me). After my failed pie, the idea of making “everyone’s favorite desserts better than they’ve had them before” sounded like the perfect therapy. I started with the Easy Chocolate Mousse, and resisted the temptation to mess with the recipe. 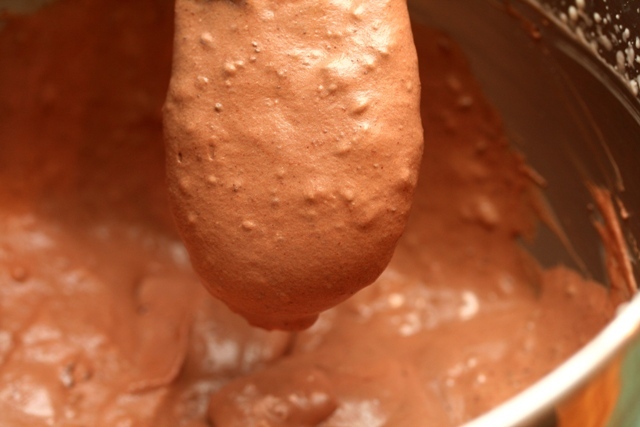 The mousse has a light, airy texture and a rich chocolate flavor, with just a hint of tanginess. It was lovely. Of course, after that success, I did start changing things around again. 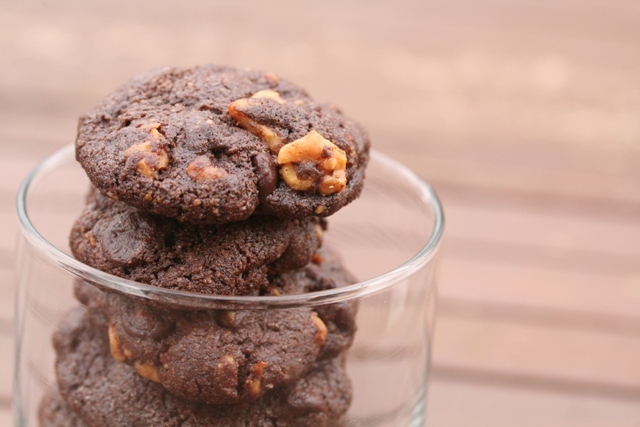 I didn’t have any dried cherries in the house, so rather than Double Dark Chocolate Cherry Cookies mine were Double Dark Chocolate Walnut – but thankfully still a winner. I made them as drop cookies, after chilling the dough overnight, rather than rolling them into logs and cutting off slices – but they still came through with a dense, slightly chewing texture and taste that would please any chocoholic. 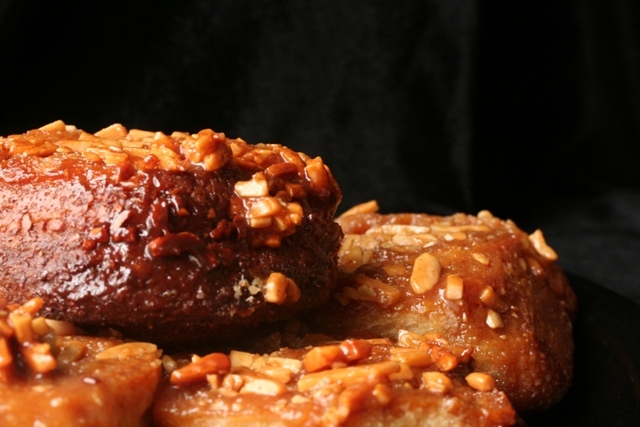 But the recipe for Sitcky Buns With Toasted Almonds was the real standout. Who doesn’t want sticky buns for breakfast – especially an overnight version, which will let the baker sleep just as late as everyone else? And Melissa’s version (The Sweet Melissa Sundays group blogged this recipe in 2009, if you’d like to give it a try) includes orange zest and toasted almonds – an irresistible combination, faintly tropical and completely comforting. I added orange oil to the dough, and orange juice to the glaze. I made the recipe Saturday morning, and refrigerated the buns all day, pulling them out at bedtime and leaving them to rise at room temperature all night. Rather than making the glaze separately and pouring it on the buns after baking , my buns rose directly on top of the glaze, right in the baking pan. Sunday morning, all I had to do was get up to preheat the oven, leave the buns to bake, and go back to bed for another 40 minutes. Thanks to Melissa Murphy, my baking ego is in recovery. If I get the rest of the custard off the cupboards, I may even take another shot at the pineapple pie. But I think I’ll make the Hazelnut Raspberry Layer Cake first. Awesome Lynn!! I finished this blog laughing.. and hungry! Love the pictures!!! MMM!! Oh boy! I have to try making the rolls with your orangey variations. And I will remember the rules of pineapple custard catastrophe. Love your blog. I too have a recipe on the ceiling story but mine was with hot Stilton soup, ouch and what a mess! 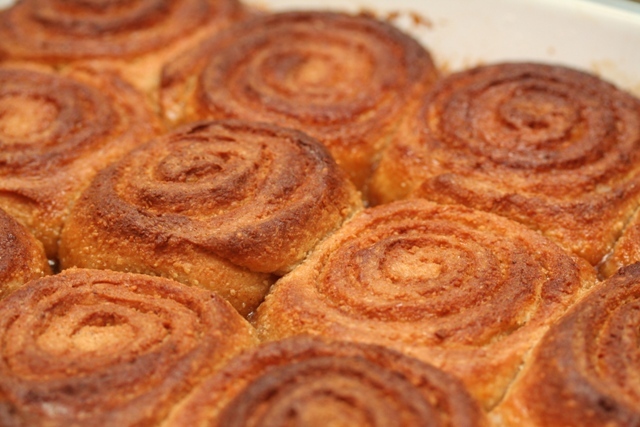 If you ever feel like making a cinnamon bun recipe that you don’t have to wait on try America’s Test Kitchen’s recipe. Yours look fantastic. Thanks, Karen. I love Stilton, probably would have cried over that one!. I’ll check out the America’s Test Kitchen recipe. It’s on my list to make again soon! We all learn from these disasters, right?